Manchester United have been linked with a number of top players heading into the summer transfer window. 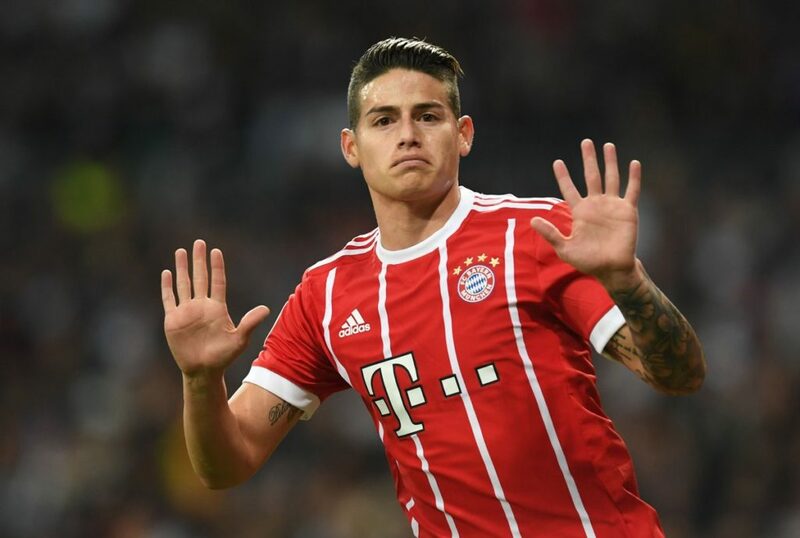 One of those has been Real Madrid midfielder James Rodriguez, who is just finishing the first season of his two-year loan at Bayern Munich. With the Colombian being linked with both a move to Manchester United or even potentially cutting his loan deal short to return to Real Madrid, Rodriguez has broken his silence. James Rodriguez made a slow start to his career in the Bundesliga with the German giants back in August following an injury, but has since returned to his best form. The 26-year-old has scored seven goals and recorded 11 assists in only 22 Bundesliga appearances (18 starts) for the 2017-18 champions. His sole goal in 12 Champions League appearances came against his parent club in the second leg of the semi-final in where his Bayern side went out 4-3 on aggregate. It has previously been reported that Bayern Munich have first option on the attacking midfielder with a €42 million (£37m) agreement in place with Real Madrid. The Spanish giants splashed out £63 million on James Rodriguez from AC Monaco directly after the 2014 World Cup where he won the Golden Boot. He had failed to hold down a regular first team spot in Zinedine Zidane’s side prior to joining Bayern Munich on loan. There’s no doubt the Colombian attacking midfielder could add creativity and flair to our midfield, with a deadly long-range shot on him. However, how much freedom Jose Mourinho would offer the Real Madrid player at Old Trafford should he sign him, is questionable.